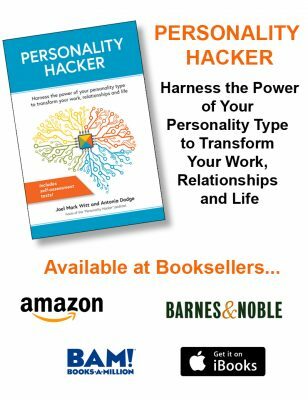 In this episode, Joel and Antonia introduce the “Personality Hacker FIRM Model” and how it helps us understand personality type fixations. My ENFP daughter definitely fears loss of freedom, especially the freedom to express herself. My INTJ friend fights attempts to control (he’s also got a pretty strongly developed feeler side, so also doesn’t want to be emotionally vulnerable). I have an ENTJ friend who’s all about management, especially organizing people and resources to go on vacations. And I know in INFP who needs to be right, specifically in his correctness of decisions and the importance of his emotions. Thanks for creating and maintaining this series that provides so many insights for those of us who have grown up feeling like outsiders because we don’t fit with the way the majority of people acquire and process information! This Model seems to accurately explain why I have had problems in my relationship with my father since childhood. 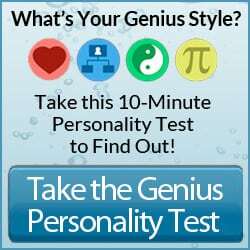 I am a very polarized ENTP and i am sure my father is an extreme ESTJ. He has always tried to micromanage my schedule out of love, but has pushed me away with heavy managerial demands to the point that I ran away often to live elsewhere as a child, and almost dropped out of school for freedom’s sake. We are ok now, but he still is confounded by me to the point he thinks I am broken. He has recently retired and has started micromanaging me and my siblings from out of state. I believe that this is his driver fuction needing control, and it has been amplified because he no longer feels needed post retirement. I have avoided him because of this. I want him to look over your podcast, and show him the basic issues we have always had can be explained by this model. Lol, I think should get my drivers license renewed before I call him to suggest this. You know feed his need. I’m 42 years old and let it expire 4 years ago. In my mind, the DMV is one of the 9 circles of hell. Besides appeasing his fixation, do you have any hints on how to get him to take a serious look at our personalities as a source of years of conflict? “This is the FIRM model.” I believe you talk about on the session about Loop…the fixation of the Driver and how it recruits the 10-year-old to fulfill the fixation, but results in the loss of the thing we want. Your advice to remedy this problem is to develop the co-pilot. I could be wrong, but I interpreted the difference as IJs essentially building walls around their internal world and the EPs tearing down every wall in the external world. The EPs want to explore entirely unfettered and unfiltered. They dislike structure or expectations or firm conclusions. The IJs want to control what information comes in and how it affects them. So, they are trying to prevent the outer world from influencing them so much by building walls and sort of shutting out the outside. The EPs run willingly through the walls and into the outside, wanting to take in everything and open themselves to the influences of a moment. Similar fear, opposite reaction. In a similar fashion, EJs and IPs are the mirrors of each other. EJs have a fixation on establishing the most effective way in the outer world. They want order and control and to manage what is happening so that the outcome is as they envision it should be. IPs do the same with an internally focused bent. They are concerned about pure intentions and processes and with holding their ideological ground at the expense of creating any change in the outer world. They become unyielding and ineffective. Agreed, that’s my thought as well. They all seem to be methods of handling control or lack thereof. As you said EPs tearing down walls and IJs putting walls up. EJs trying to manage chaos through enforcing control. IPs seeking freedom by independent logic/emotions/opinions, freedom of thought. Though honestly, I’d group IPs with EPs, and IJs with EJs. IPs and EPs seem to want to seek freedom. Whether by tearing down walls EP style or by independent/subjective thinking/feeling. Whereas IJs and EJs both seek control IJs by seeking control of themselves, building up inner walls to make a controlled garden for themselves and EJs building exterior walls/systems to create a controlled garden for others to play in. This was very interesting, though I’m having trouble getting my head around the bit about IJs and vulnerability for some reason. Not because I have trouble believing they are vulnerable, but because I’m not sure why IJs would feel any more vulnerable than IPs, as previous podcasts have painted all introverted types as being similarly ‘vulnerable’ in the outer world due to finding it more difficult to filter internal-experience (in response to ‘external’ experience) than extraverts. Also felt there was a possible lack of internal consistency in this model, wherein the ‘fixation’ for all the types that were NOT IJs was kind of self-evident based on the driver functions, but the fixation for the IJs seemed more oblique, particularly when individualized for ISTJ and INTJ, though I appreciate you said these were just generalisations and there was ‘over-spill’ between types. Like Denise above asked, what is the difference between a fixation on not being ‘controlled’ and (EPs) ‘freedom’? I acknowledge this may all just be due to the podcast skimming the surface and not necessarily the model itself however. I’m a bit confused by this as well. Perhaps it is explained better in the book. To me it seems like three out of the four deal with control. Freedom EPs seek liberation from control. Invulnerability IJs fear being controlled. EJs seek to control and fear not being in control. Leaving IPs as the only ones different, somehow, seeking rightness? But I mean how they do it is basically independence of control. So it all seems to involve control just how people react to it, I guess. idk, perhaps I should pick up the book and read what they say. Here’s my understanding of it though. EPs seek freedom of control through a more extroverted/outside-of-them manner and this can be exhibited as being difficult to pin down, a need to explore, a need to experience, and actively seeking new experiences. While also afraid of having rules, obligations, and such tying them down. IPs also want freedom/not be controlled but in a different way. Freedom of thought/emotion via independence of such which may come off as a need to be right. They may have a fear of the majority rule, that the majority are trying to prevent there beliefs/feelings, trying to suppress them. So instead of accepting that others may have a point they double down on their beliefs/emotions and reject everyone else, perhaps without even hearing what everyone else had to say. Basically, I guess they don’t trust the opinions of others and fear opinions being forced on them so they seek internal freedom from such. Perhaps. EJs and IJs are pretty simple in comparison, I suppose. EJs seek control of others/systems, perhaps not because they want to control but they fear the lack of control, they fear chaos. So they take the reins and try to control what they view as chaos, that of which those who seek independence from control appear to cause, at least in their eyes. IJs then seek control of themselves. The vulnerability thing is interesting. I myself would classify myself within this category and I do certainly have security issues. You see I have a hard time trusting others. In my view people always want something so you must protect yourself/your resources lest they be taken leaving you hurt and broken. Hmm, I guess EJs see chaos and want to fix it, make it more controlled and predictable. IJs see chaos, accept that chaos is there, and try to protect themselves from it. So EJs control others/systems, IJs control themselves, the systems they craft for themselves. They also mentioned that there is spill over, but perhaps there is something more to that. For instance, I have experienced each of these before depending on the situation at hand. My default is to seek security/control of self. The next most often felt expression is fear of chaos/loss of control, which would make sense as one can only do so much by themselves. If the world around them is a complete mess then they, myself, may feel compelled to exert their EJ function and try to take control of the situation. Third would likely be the Rightness clause, the freedom of logic/emotion element, which I have a minor craving for but not so much as to seek that above all else. And lastly, freedom, which is something of a dream/aspiration, one that I likely will never reach but is nice to think of every now and then. For example my freedom dream tends to involve retiring to an old log cabin by some woods and spending my time as I want to with no obligations. Merely a dream but one that feels pleasant, if only for a moment before my other functions but in with all the “well you can’t do that because of X” statements. Anyway, I could be way off base here, and I’m sure if I am someone from the PH team will chime in. This is just how I understood it after hearing the podcast. What’s the actual difference between “Invulnerability from being controlled” and “freedom of [x]’? I think the first one means Don’t tell me who to be, where as the second means Don’t tell me what to do. This is my take on it, anyway. This was a great podcast. I have definitely seen this model show up in my family members and friends. I strongly resonate with the fixation of the IPs. Hearing you guys talk about IPs’ need for validation, I was almost in tears because of how validating it was just to hear that people who are not IPs understand and honor this need. I feel like I spend so much time trying to explain to people close to me that I just need them to respond to and accept my feelings and ideas and conclusions as valid before putting their own ideas out there or trying to analyze mine. I do often feel exhausted and give up. 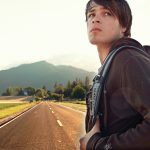 I’m an INFP, and I definitely agree with the ‘giving up trying to explain myself’ piece. As soon as I heard Antonia say, “If they don’t develop the ability to persuade others..” I immediately thought ‘oh no’, because I have no skill around persuading people (and also lack skill around garnering attention in the first place, i.e. charisma), nor do I really want these types of skills because they feel like manipulation and deceit. However, my thoughts, wants, and dreams are strongly tied to who I am, and if these aren’t understood, then I as a person do not feel understood. 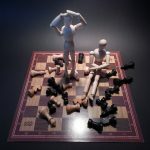 As a result, people often either don’t understand what I am saying or where I am coming from, or they misinterpret these things (and part of that is definitely on me – I often get that ‘this sounded way better in my head..’ feeling). When I bring my beliefs in person to people whose opinions I value, my beliefs often do receive validation. But that’s rarely enough. That voice inside is always there. And I still feel the need to explain myself. Another ENFP moment of clarity! Freedom is so important and my mother was right! LOL.. Commitment adverse is what I am. That it can become a handicap is an eyeopener. Thanks for that! I really loved this episode! I’m an ENFP, and this episode helped me realize just how focused on freedom I am. I’ve always known that being independent and having freedom was important to me, but listening to this podcast made me realize how often it comes up in my life. It seems to influence just about every decision I make, especially recently. This was also interesting to me, because my sister is an ISTJ and the invulnerability fixation really makes sense for her and explained a lot of how she thinks and acts. I feel like I understand her a little better now. Thanks for the great episode! I thought this was really interesting. As an INFP, I don’t know if I have a fixation on being right per se, but certainly I could relate to wanting people to acknowledge my ideas. In some ways, it seems like I don’t want to be vulnerable, but I think it is more like you said, and just a giving up with trying to explain myself. Between the intricacy of Fi, and the disjointedness of Ne, it makes explaining my thoughts/feelings really difficult, and it is easy to just give up on trying. Any advice on how to better explain yourself in such a way so people can at least somewhat understand where you are coming from? This was a brilliant episode. I am an EP and it really helps me understand why i’ve Always felt trapped in jobs. I have a question though. How does someone overcome an unhealthy level of fixation? I know another EP who is struggling as they have freedom but now don’t feel they can settle in a relationship and start a family because they might miss out on other opportunities. They are trapped in a cycle. This is another great podcast! I’ve been waiting for one on the FIRM model for some time now. I totally agree that it really helps triangulate someone’s type. I also strongly resonated with the example Joel explained about an IJ being in a relationship with an EP. This material has helped me become more understanding of why some people want to drink up every experience without fear or trepidation (which is totally opposite to my experience as an INFJ). Any new situation I encounter makes me feel really vulnerable. It takes me, I would say, roughly 5 encounters with the same circumstance for the anxiety to go down. Then, I am ready to open up with trusted persons. I wonder if other IJs can related to this? P.S., I feel like your copilot’s healthy fixation for control/management will naturally come out, and you can work on it once you embrace your driver process’s fixation in a positive way. Very interesting podcast. Yes, as an INTJ I definitely struggle with vulnerability. To answer to you Luke, I can echo the anxiety about new experiences. I love new information and experiences (to feed the Ni motor) but they also cause me great anxiety when I’m faced with something completely new and/or I’m unprepared. These type of experiences can consume me to the point where I can’t sleep at night churning over the details of something ordinary. And Joel and Antonia are spot on when they venture I’m at risk of fixating on being protected from my own feelings. So many times in my life have I wished I had elephant skin or I could just process my emotions quickly and get on with it. Even when I practice mindfulness and try to lean into the discomfort, I now realize it’s with the intent of moving through it asap … For this reason too I am very drawn to buddhist concepts like equanimity, which I may not fully understand but seems to imply you don’t get so carried away by your own feelings. It’s good to know these things so I can (hopefully) detect times in my life when I let my desire for invulnerability dictate my decisions. Because again, Joel and Antonia are right when they remark that our type is great at rationalizing actions that really stem from the fixation. Hi! I’m Bradley. I’m 31, male, and was raised as part of a white minority. I’ve listened to PH since 2014, and have benefited immensely from doing so. 1. It’s interesting that FIRM highlights the similarities between the EJ functions, whereas a list of eight cognitive functions can instead paint the difference between extroverted feeling and extroverted thinking as equal to the difference between any other two given functions. Obviously the car model negates some of this effect as the co-pilot necessarily has specific differences to the pilot and so on. 2. What is the intended purpose of the FIRM model? Is its primary role a tool for coaches to use? 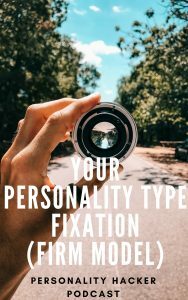 I can see the emphasis on fixation being highly useful in the real world of coaching, and less alluring for the casual observer who would possibly be more strongly drawn to finding their super-power. 3. The last two pod topics have been related to understanding energies. I am currently trying to better understand the enneagram concept of moving to another number in times of health – is there a parallel in FIRM? Do we generate another, healthy fixation when our basic fixation is sated? Similarly, do we change God-energies in times of health and times of stress?